London Metal Roofing commercial roofing and industrial building metal roof panels are a low-maintenance solution for commercial grade performance and enhance the looks of your building. 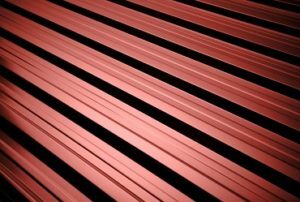 Easy installation and flexible design make London Metal Roofing products the perfect option for commercial buildings. 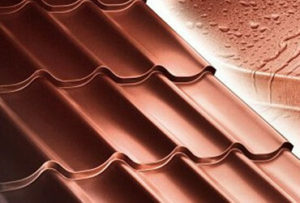 We save you time and allow you to customize your roof to fit your specific design needs. 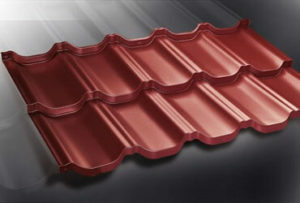 Our range of metal shingles and colors help you to customize your building exactly how you like while our product warranties and the latest technologies maximize your investment. For example, our reflective Cool Roof Coatings will increase a building’s energy efficiency, and lower building maintenance costs. Prestige, Riviera, Trapeze, and Venice. 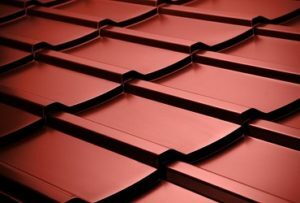 Metal commercial roofing panels weigh less than traditional shingles and in many cases can be applied directly over the old roof, saving removal and dumping fees. The strength and durability of steel and aluminum material make metal roofing the obvious choice for commercial buildings in Canada. Especially when considering the harsh climate of the winter season. London Metal Roofing understands how critical it is for your business to have a roof that maintains a dry, attractive, and functional building. If you own a business and are looking for a long-lasting roofing option, that will add value to your property London Metal roof is perfect for you! A metal roof is the best choice for keeping maintenance costs down for commercial building owners. A London Metal roof will reduce heating and cooling costs by reducing energy consumption during peak hours in hot summers and cold winters.